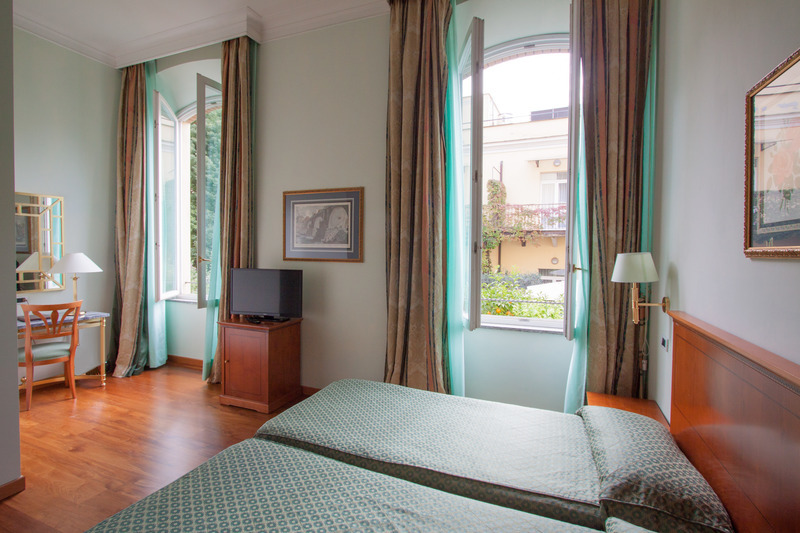 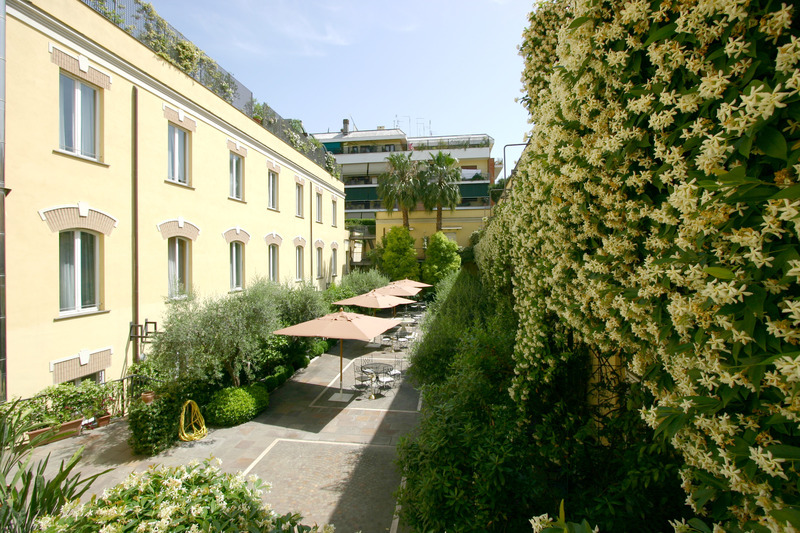 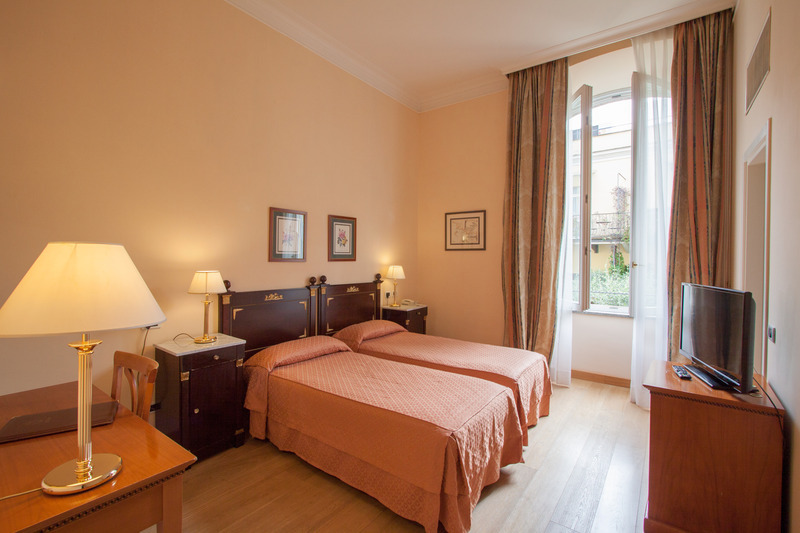 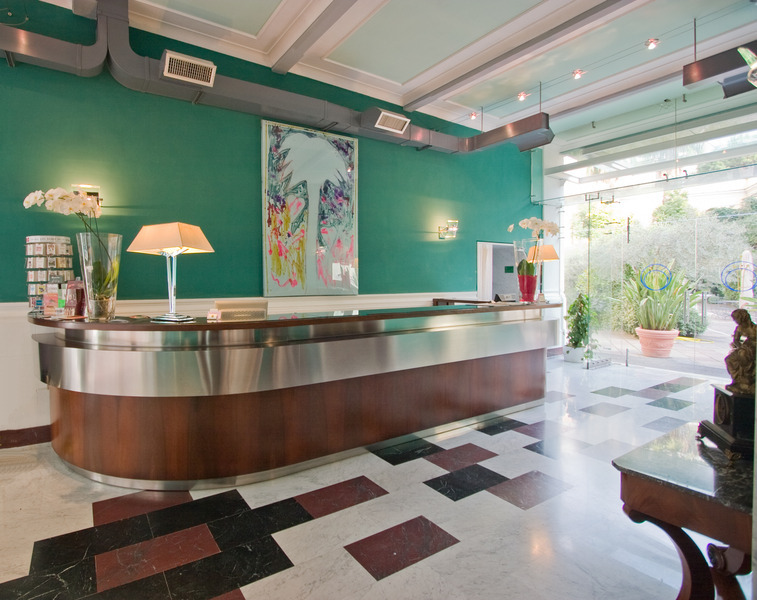 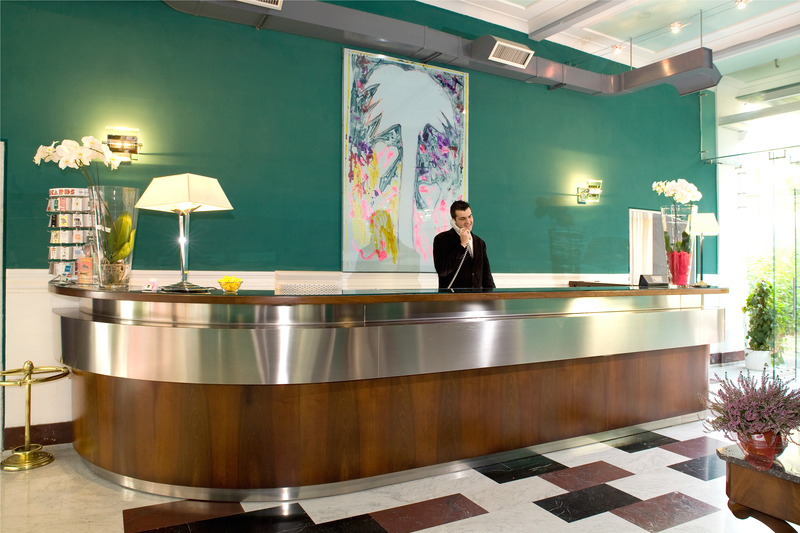 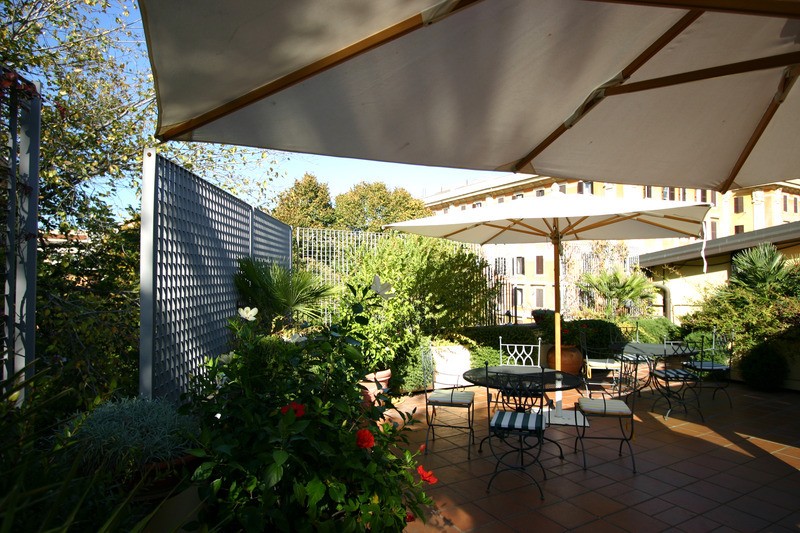 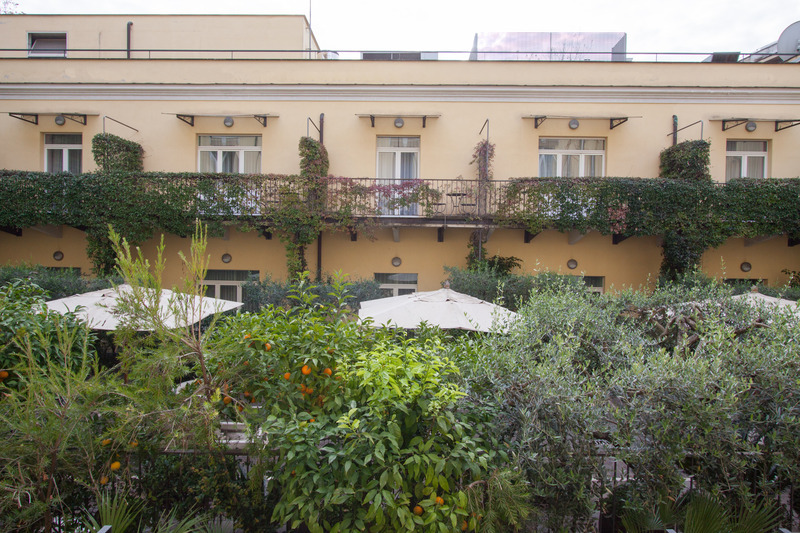 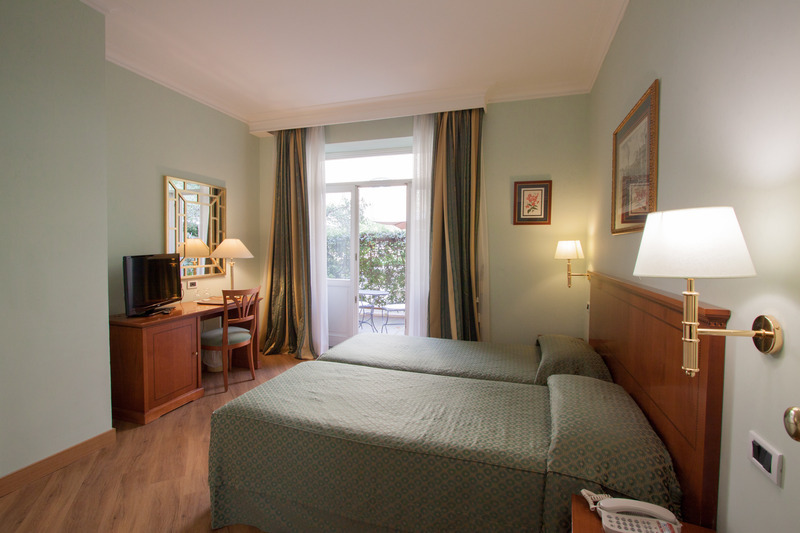 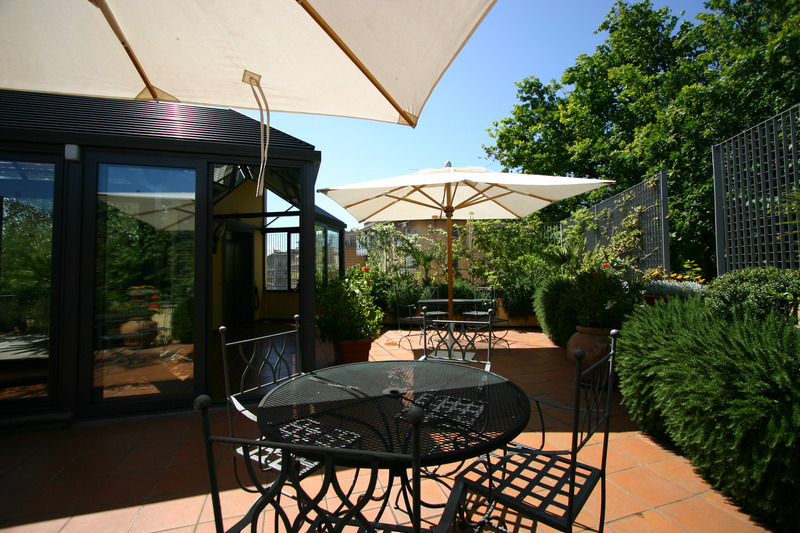 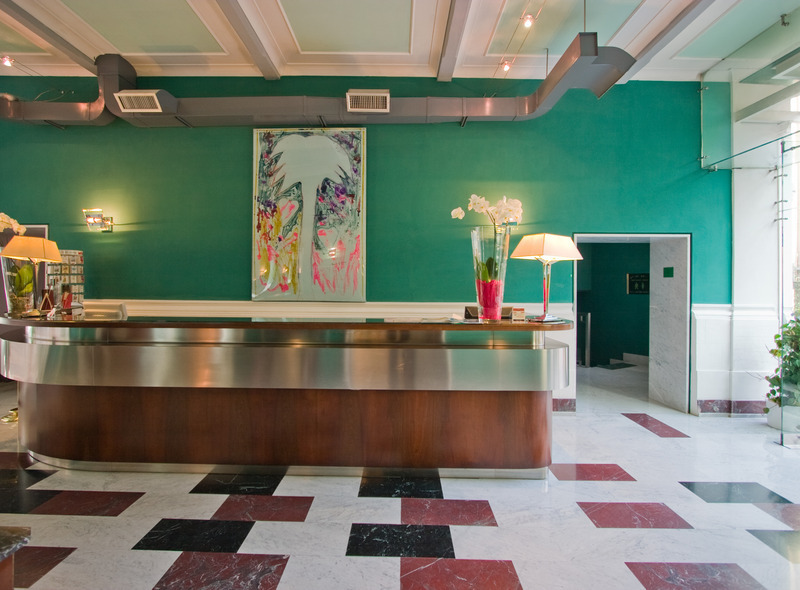 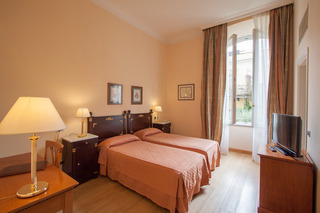 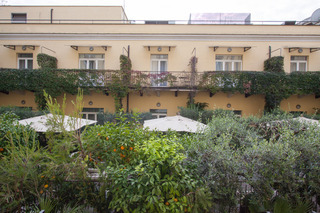 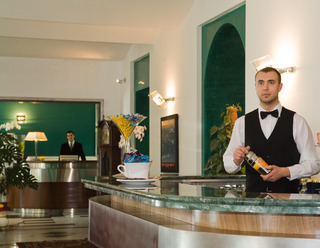 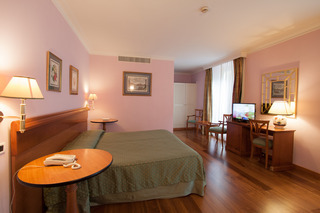 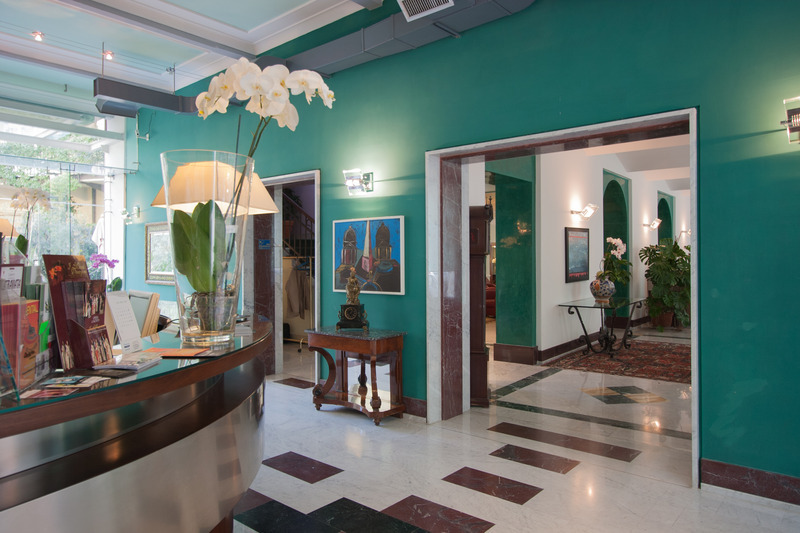 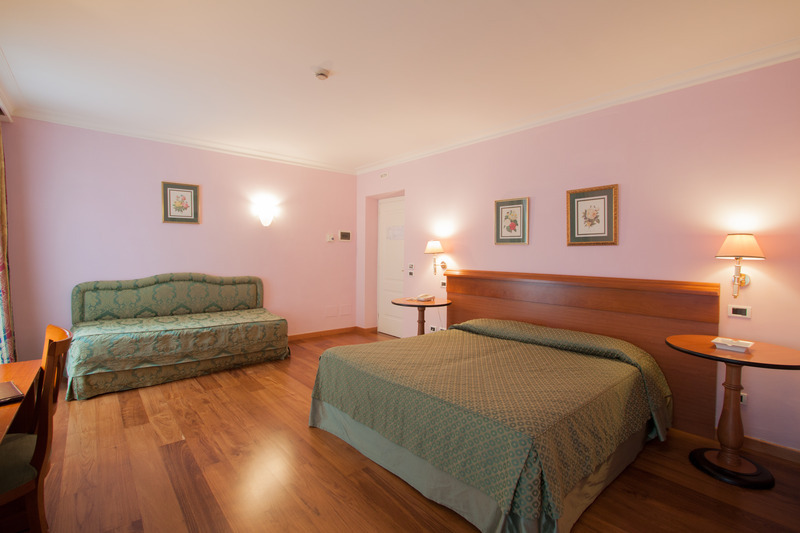 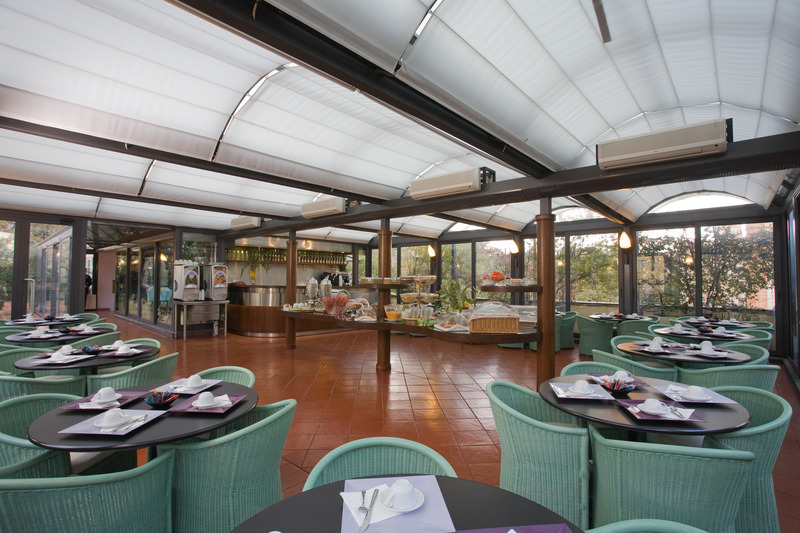 Centrally located between La Sapienza University and the Termini railway station, this city hotel is also close to the metro in one of the most traditional districts of the Eternal City (San Lorenzo). Rome city centre is just 500 metres from the hotel and Ciampino and Leonardo da Vinci International (Fiumicino) airport are both approximately 30 km away.Housed in a splendid building dating back to 1912, the hotel has been completely restored according to the original Liberty style of the time. 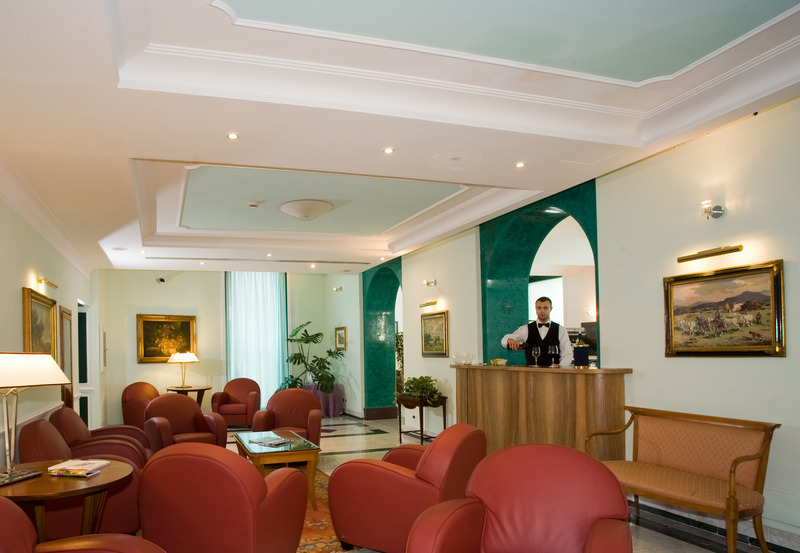 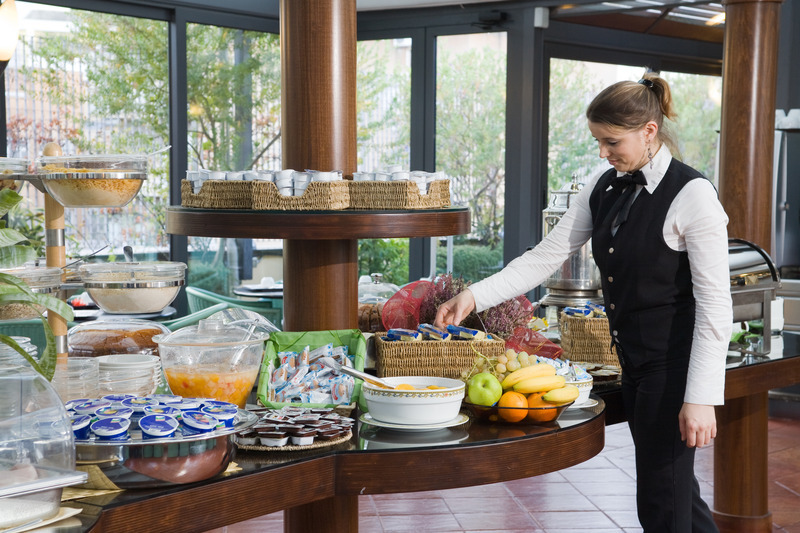 The air-conditioned city hotel offers 65 rooms in total and welcomes guests in a lobby with 24-hour reception and check-out services, and currency exchange facilities. 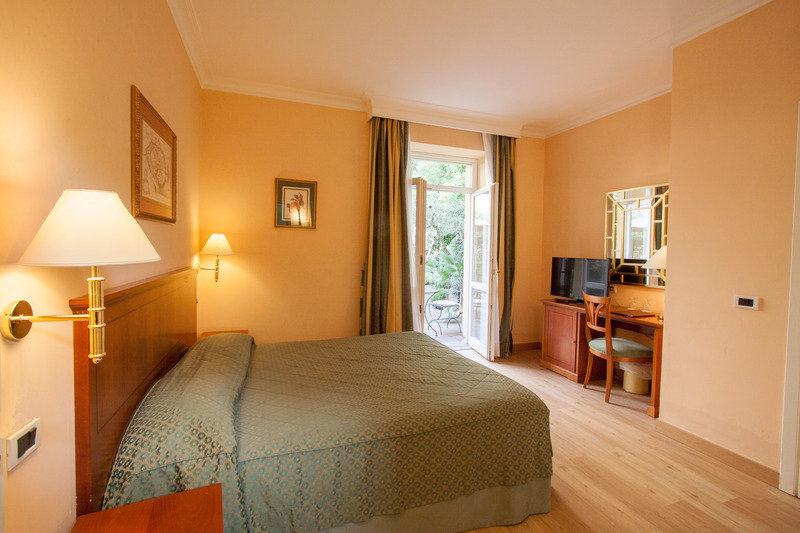 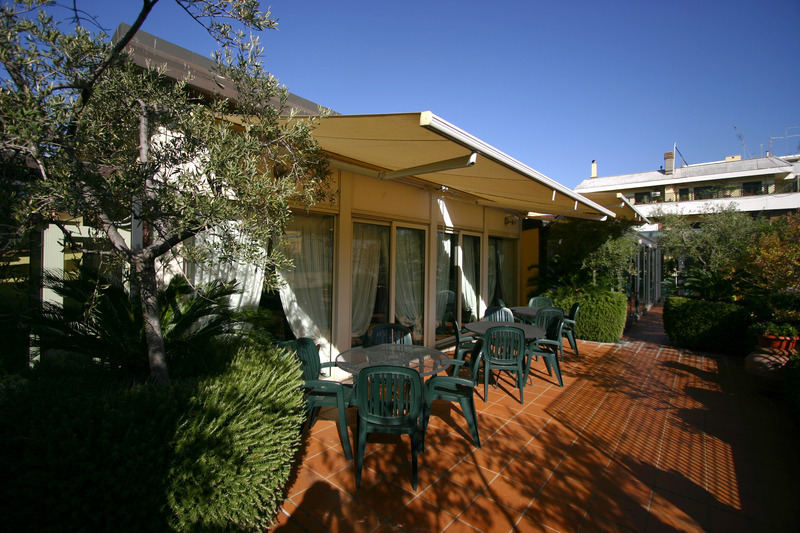 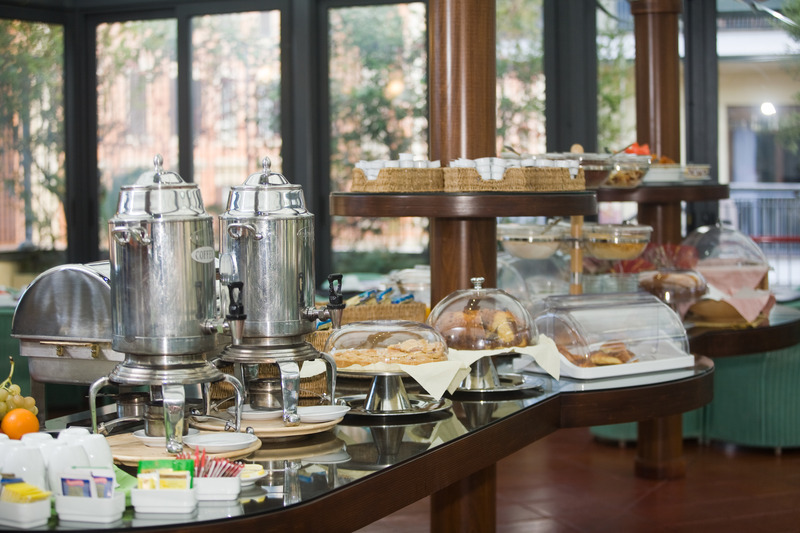 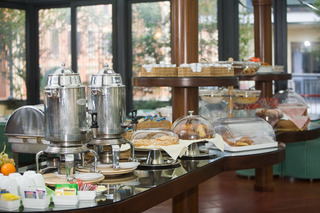 Further facilities include a TV lounge, cafe, breakfast room, WLAN Internet access and room service.The hotel has elegant and well-furnished rooms overlooking a pretty square surrounded by trees or the enchanting patio gracefully landscaped with palm, olive, lemon and orange trees, flowers and fountains. 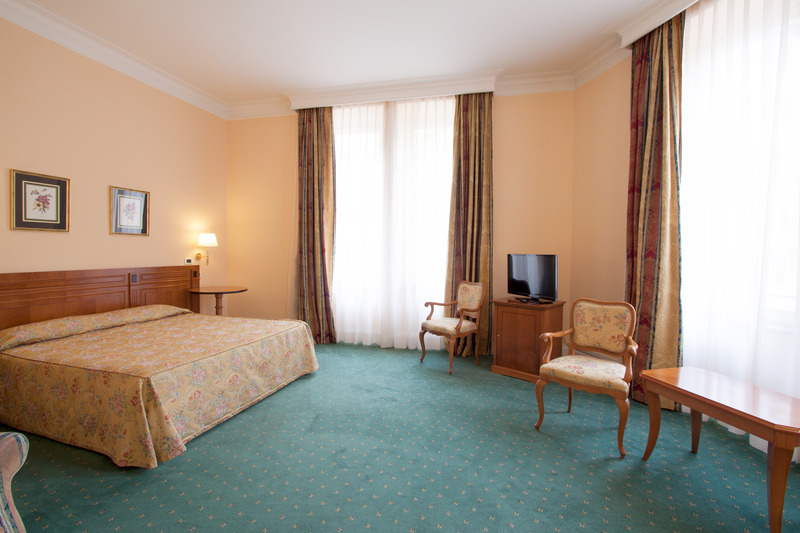 The comfortable rooms are entirely soundproof and air-conditioned with a direct dial telephone, satellite TV, hairdryer and minibar. 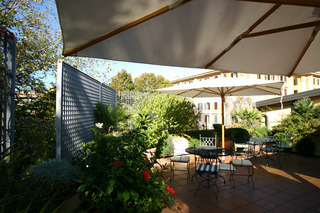 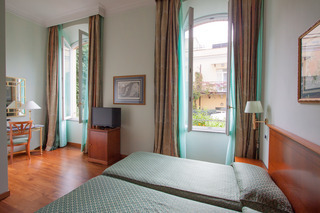 Each room additionally features an en suite bathroom with a shower and bathtub, a double bed, hifi, Internet access, central heating and a private balcony or terrace.By car: the hotel can be easily reached from any point of the Grande Raccordo Anulare and is connected to all main highways. 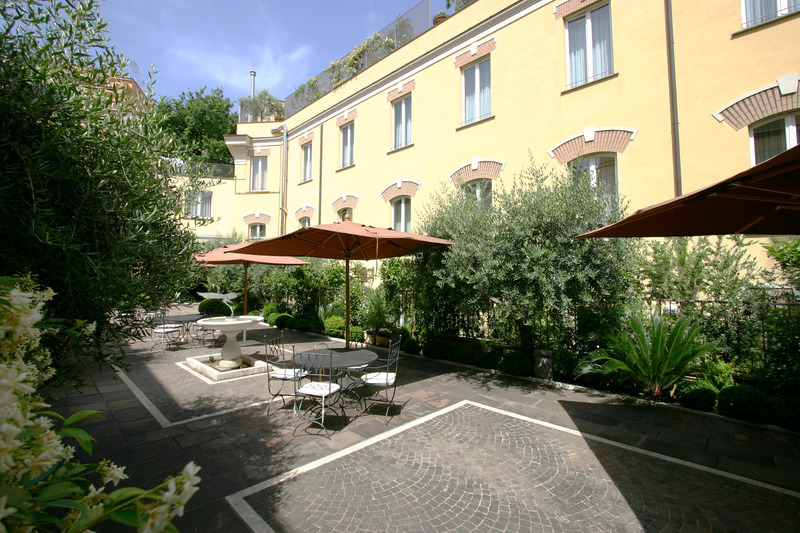 Follow the indications to the centre of Rome and then to Termini railway station. By train: the hotel is a 10-minute walk from Termini railway station. 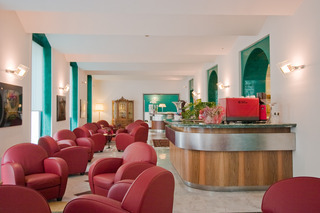 By plane: Rome-Fiumicino airport is connected to the city by motorway or by a local train service, called Leonardo Express, leaving every 30 minutes to Termini station. 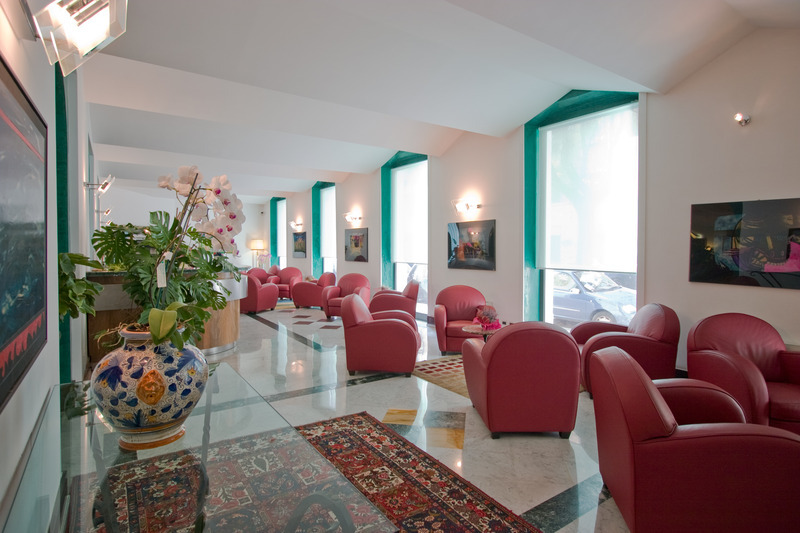 Rome-Ciampino airport is just a few bus stops from the Anagnina metro station on line A. The ride to Termini railway station then takes about 20 minutes.